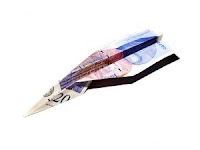 IntLawGrrls: Remittances on the rise . . . This month, the World Bank released a brief outlining global increases in remittance flows to developing countries in 2011. Developing countries received enormous absolute and relative income streams from remittances (counting official flows only), with $58 billion going to India and $57 billion to China, and 20% of the GDP in countries such as Lebanon and Nepal coming from remittances. Officially recorded remittances grew at a rate of eight percent this year, to an estimated $351 billion. Though much lower than the twenty percent average rate of growth before the global financial crisis, this was the first year since the crisis that all six developing regions saw a rise in flows. While the growth of remittances to the developing world will be subject to the risks of ongoing financial problems and tighter immigration controls in migrant destination countries, they are estimated to grow by seven to eight percent over the next three years. By 2014, the World Bank estimates that remittance flows to the developing world will approach $450 billion, underscoring the importance of keeping remittance costs down. The report breaks down the data by the six developing regions. Though Latin America and the Caribbean saw relatively slow growth in remittances, it was an improvement on the decline following the global financial crisis. The region is heavily dependent on the United States, which provided 80% of its remittances. The increase in flows in 2011 may be traced in part to the increase in new housing construction in the United States and in part to the depreciation of the Mexican peso relative to the US dollar. With smaller numbers of Mexicans entering the United States in part because of tighter border enforcement, it remains to be seen whether this growth is sustainable. The Arab Spring, and particularly the crisis in Libya, impacted remittances from Egyptians, Tunisian, Nigeriens, and Chadians, which will have significant consequences for the resource-strapped economies of the latter two countries in particular. High oil prices helped remittance flows from the Gulf Cooperation Council countries to South Asia and Russia to Central Asia, but remittance flows to India have been affected by weak employment in the United States as well as the debt crisis in Europe. Moreover, tougher admission criteria for non-EU migrants in the UK and restrictions on hiring foreign workers in Spain will impact remittance flows from Europe. Finally, the report discusses efforts to leverage the development power of remittances. It assesses the "5 by 5" objective, a 2009 pledge by G8 countries to reduce global average remittance costs by 5 percentage points in 5 years -- a change that would provide another $15 billion annually for recipient populations. We've seen so far a drop from 8.8 % in 2008 to 7.3% in 2011 -- progress, but not enough. Also of interest is the concept of diaspora bonds, which have been used to finance infrastructure in Nepal, Ethiopia, and Kenya, with the idea that such investments can be more stable and less costly because of diaspora loyalty.